Most states require some form of insurance on motor vehicles in order to cover the costs of an accident. However, not all states require motorcycle insurance—and even those that do may require only a minimum amount that may not fully protect bikers after a crash with a passenger car. For residents of Illinois and Missouri, riders must prove that they are financially responsible before their motorcycle registration will be issued. In Illinois, the only way to establish a financial responsibility is to carry the proof of the state-required insurance. Failure to present proof of coverage can result in license plate suspension and a fine of $500 or more. Riders can get their license plates back by providing a current proof of insurance and paying a $100 reinstatement fee. In cases where it is the rider’s second offense in demonstrating a lack of insurance, license suspension will last a minimum of four months. 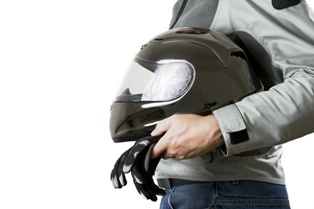 Before riders can register a motorcycle, they must show proof of financial responsibility. The most common way to do this is to provide proof of a current insurance policy (as well as carrying the insurance card at all times). On the other hand, riders may also legally prove financial responsibility by placing a $60,000 bond, real estate bond, or deposit on hold with the Department of Revenue. Once financial responsibility is established, riders will also be expected to sign an affidavit swearing that insurance coverage will remain in effect while the motorcycle is registered. In most cases, the minimum amount of insurance coverage required by the state is nowhere near enough to compensate all victims in an accident. For this reason, it is a good idea to purchase the maximum amount of coverage you can afford, including uninsured motorist insurance to protect against another driver’s low coverage limits. If you have been injured due to someone else's negligence, our attorneys can listen to your story and advise you on your legal rights. Contact The Tapella & Eberspacher Law Firm via our online contact form to schedule an appointment.